Image: NASA/CXC/Penn State/B.Luo et al. Stare into the abyss, my friends. 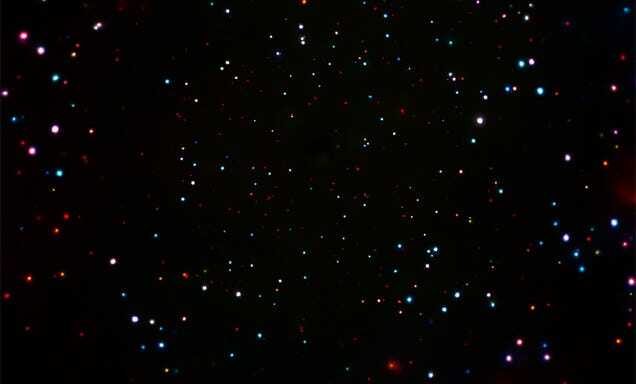 The image above features the highest concentration of black holes humans have ever seen. So dense are the merciless chasms of darkness at the center of this map, you could pack 5,000 of them into a patch of sky the size of the full moon. So… why do they look like a bunch of Christmas baubles? Good question. This image represents a portion of the Deep Field South Survey—the deepest x-ray glimpse of our universe ever, collected through nearly 12 weeks of observing with the Chandra telescope, NASA’s flagship space-based x-ray hunter. While black holes themselves emit no light, interstellar gases heat up as they approach the singularity’s point of no return (called the event horizon), yielding bursts of high-energy x-rays. The entire Deep Field South Survey, which was published today in conjunction with a press conference at the 229th meeting of the American Astronomical Society, contains over a thousand black holes. 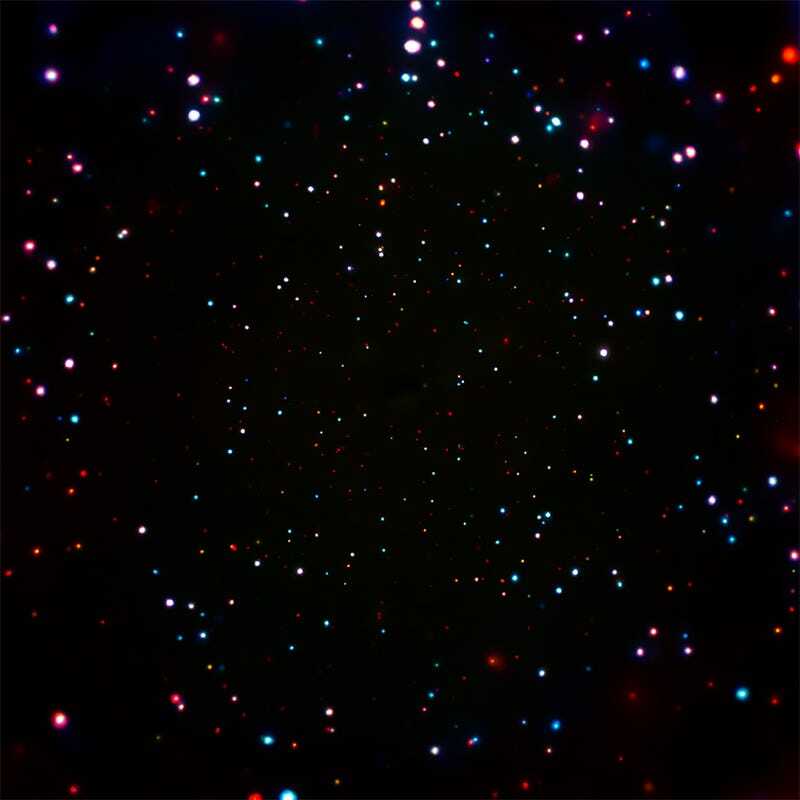 The image shown here represents the central portion, where the black holes are most dense. The faint pinpricks of light at the very center include black holes up to 12.5 billion light years from Earth, which is to say, on other side of the known universe. Ultra-deep field surveys like this are offering insights into how supermassive black holes grow—mostly in bursts, it seems, from “seeds” weighing anywhere between 10,000 and 100,000 solar masses. But many mysteries about black holes remain, including how the supermassive variety found at the centers of galaxies are able to consume enough matter to rapidly achieve masses billions of times that of our Sun. Sure gives you something to chew on.